Wedding bridesmaid bridal jewelry Set affordable inexpensive & meet your budget. 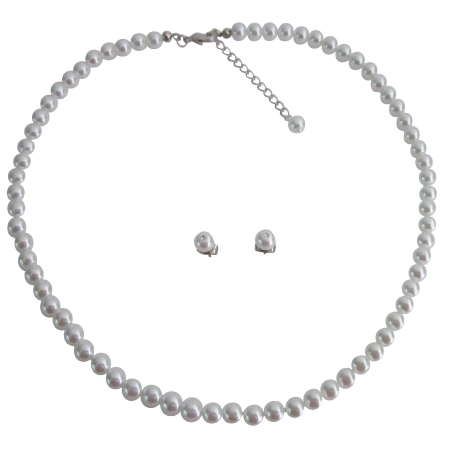 White Pearls Necklace with stud earrings & has cute Pearls dangling at the end of Necklace extender. We do make matching bracelet stretchable or on request toggle clasp bracelet. These are good quality Pearls not plastic beads. Absolutely for Pageant Favors Gifts Wedding Jewelry Bridesmaid Flower Girl Prom Bridal Maid of Honor & Maid-matron for Honor Jewelry.